We thought that we would brighten your day with a picture - during the Olympics we had our eye on a few things, Irish Olympians, Olympians we knew would entertain us, but if we are being honest we had an eagle eye out for hot Olympians. Our winner of hottest Olympian goes to Camille Lacourt. This beautiful Frenchman not only has stunning eyes, he also swims. To make Camille a little more special he is a spokesman for Clarins Men and his beautiful face will make the trip to a Clarins counter a lot more fun and he may or may not be the reason why himself got some Clarins Men as a present. When I'm trying to drop a few pounds, one of the first things I try to cut out of my diet, along with bread and the other obvious (ie. nice) stuff, is pasta. So when we received a press release for a product called Slim Pasta, I was intrigued. Could this be the answer to my carb dreams? Slim Pasta is made of a vegetable called moyu or konjac which is high in fibre but very low in calories and low in carbohydrates. Amazingly, Slim Pasta (Slim Rice and Slim Noodles are also available) contains only 7.7 calories per 100g serving, in comparison to standard pasta brands, that on average contain around 350 calories per 100g serving. In addition to this, the Slim Pasta range is gluten free making it suitable for coeliacs so it has benefits beyond those for weight watchers. Ok so in the packet I was thinking this doesn't look very appetising at all, and when I opened the pack, things didn't get much better. It doesn't look the best - it's a very bright, kind of translucent white colour. Plus there is quite a strong starchy smell from it which does disappear when you rinse it in water. (It needs to be drained very well or you'll have a watery bolognese.) You then heat it for a few minutes on the hob, or for a minute in the microwave. Like standard varieties of pasta, rice and noodles, the Slim Pasta range is flavourless and requires you to add a sauce of your choice. And...once it is heated and you add your sauce, it's not bad, not bad at all! It does have a slightly different texture to normal pasta (a little more rubbery), but nothing major and aside from that it pretty much tastes like pasta. It left me feeling full all evening. I'll definitely be keeping a pack or two of this in the press for quick, easy, low calorie meals. Slim Pasta range also includes Slim Noodles and Slim Rice RRP €2.99 and available in health food stores, supermarkets and pharmacies nationwide. Merumaya Integrative Effective Skincare launches in Arnotts on 1st of March and we are very excited indeed by this new range. The brand's founder, Maleka Dattu, has worked for almost three decades in the beauty industry (think Clinique, Origins and Lancome) and she has taken all that experience and combined it with the knowledge of some of the best cosmetic science boffins in the business and created Merumaya. 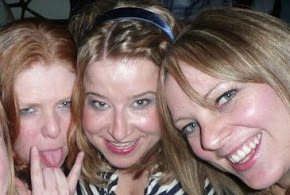 We had the opportunity to meet Maleka last week and she is totally lovely, great craic and very inspiring. The idea behind the brand is that it is evidence based skincare which integrates anti-ageing properties with preventative ageing measures. The products contain high numbers of active ingredients in potencies in which they have been proven to be effective. They also promise that this is anti-ageing care that will not exacerbate skin prone to breakouts (YES! ), is accessibly priced and pleasurable to use. So, sounds good, right? There are currently twelve products in the range, ranging in price from €15.50 to €43.50. I can see the 'Please Me, Tease Me Taster Set' being really popular - it contains a full size Intensely Youthful Eye Cream plus four travel size products and it would be a great way of testing out the brand. I'm trying out the Melting Cleansing Balm (€18.50), Iconic Youth Serum (€43.50) and Intensely Youthful Eye Cream (€30.50) and so far I'm very impressed - they're really lovely products with gorgeous textures and scents, and are a total joy to use. Watch this space for full reviews! Available in Arnotts from 1st March, and now from Merumaya.com. Christmas Goodies - Am I still allowed to say Christmas ? Am I too late talk about Christmas? Sure I know it's practically the summer by now, it's just himself did very well this year although it has to be said it was not without help (not that he would read this blog in a million years, so I can pretty much say what I want about him but credit where credit is due especially since he HATES shopping and literally goes shopping once a year at Christmas). I first saw Alex and Ani bracelets on Cupcakeandscissors on Youtube (I loved her videos). I thought they were the kind of thing that you would only be able to buy in New York and that they would never grace our shores. Low and behold Ireland's favourite department store Arnotts began to stock the range before Christmas as part of their newly designed accessory department. Alex and Ani bracelets are made from recycled material and each bracelet has a special meaning. Himself got me the Eye of Horus which helps the wearer with healing, reason and protection and the symbol just happens to hold a special place in my heart. I was a little worried about being allergic to the bracelet as I am very sensitive (what, don't laugh). Ok, ok I reiterate my skin is sensitive towards metals but the bracelet has been grand and makes a great and very affordable replacement for my Tiffany bracelet that broke before Christmas. My plan is to get a few of these bracelets (that's my birthday sorted) and stack them. Check out the range of bracelets at Arnotts.ie. Now if you're thinking "God, isn't he great for listening to her prattling on about jewellery and makeup and the like" he got help from my Bestie, a lot of help. I love Miranda and although he won't admit it, the way he snorts through an episode made getting the box set an easy choice and we have our video evenings sorted for a while (although it's quite dangerous drinking tea while watching Miranda cause a few times I have either snorted it or spat it across the room when laughing). You might know that I am a big fan of Philosophy and he also knows this cause there are a couple of bottles in the bathroom, except when he got to Arnotts (when shopping he hits one shop and doesn't tend to leave) he forgot the name and asked for "the bath stuff" to the confused and quite possibly terrified staff. All was saved with another phone call to my Bestie who told him the name of the brand and where to find it. OK I told him I wanted this - how could I not? It's a Michael Kors for Estée Lauder makeup set. The sets also comes with a red makeup bag or black makeup bag but himself picked out the gunmetal (I am so proud). The makeup is fuchsia themed which is brilliant. I really want to try more Estée Lauder, I think the quality of the products is amazing but they sometimes are a bit of a miss shade wise. I picked up a lip set during the sale and the lipstick was very 80's frosty although lovely quality (I gave the kit to my mam). I think the bag is beautiful, it's brilliant quality with two pockets inside and would make a great evening clutch. The nail polish in the set is called Fuchsia Flame and it's a beautifully glossy polish. This is my first foray into Estée Lauder Polish and I am quite impressed. The set also has a blush which you could also use for contouring, I haven't had a good trial of this yet but I'll keep you up to date. 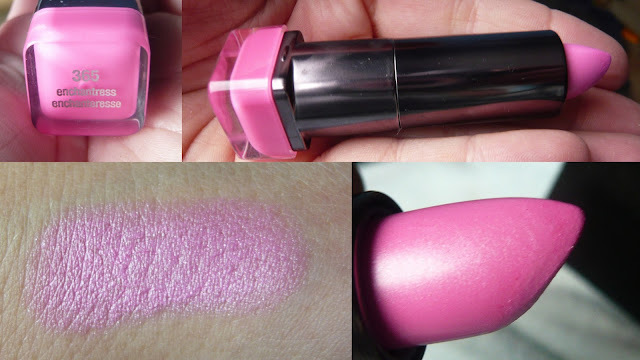 The lipstick in the set is called Rubelite Shimmer and it's a beautiful fuchsia with a smidge of frosty shimmer, the consistency of the lipstick is amazing and it's quite a wearable bright although I would prefer it if there was no frost/shimmer. Do you think this is too frosty? Look at me hiding out in the mirror *Hi*. The set also contains a mini mascara, a black liner and a lip gloss which I haven't tried. If you are impressed by this set I think it's still on sale with 30% off in Brown Thomas. So himself did great I am very proud of him altogether. I was supposed to get a jacket in sales from him too but the jacket never went on sale. It will be mine though. I wanted to add a homemade pressie that my Bestie made for me, you may know that I LOVE Marilyn and she made me this picture - all with different pictures of Marilyn doing her makeup along with Marilyn quotes. I love it. I am really nosy about what people got for Christmas, I mostly want to see what beauty products they got but I even love to see what socks they got (this year I got no socks or pjs...... what's that about?). I of course had my eye on a beautiful set from Stila called the Sparkle Luxe Eye Shadow Palette, do I need more eye shadows? Of course not, in fact I need to go on a eye shadow ban and use up some but what can a girl do when she receives a present? Love it and cherish it. It would be quite rude not to. My very kind bro bought the palette for me for Christmas (Stila's new counter in Harvey Nicks Dublin is making life easier for my loved ones at Christmas). In addition to the palette he also picked me up these rather deadly Hello Kitty Ear Muff earphones. You may be one of the kool people (yes I spell it with a "k" to show exactly how unkool I am) walking around with Beats headphones but are your ears quite as adorable as mine with Hello Kitty? I think not. The palette's packaging is a silver glitter fest, but not the annoying kind that comes off everywhere, it's more of a glittery effect which is so simple and pretty and as with all Stila's palettes, this comes with a look book. The top row of the palette features 3 micro- matte shades which are soft and pretty much feel like other brands normal shadows (great job on the matte's Stila). 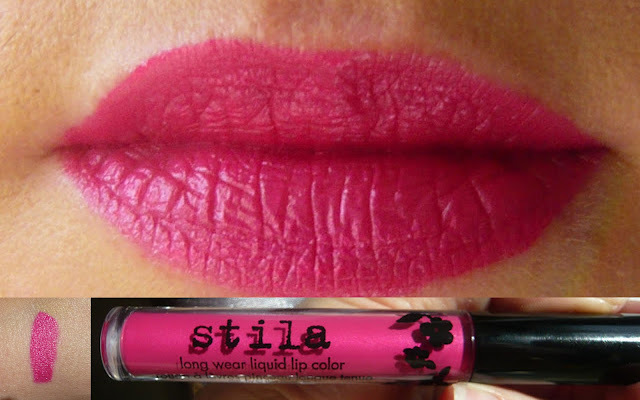 Normally I really don't like matte shades but Stila create mattes that are soft and pigmented and not at all chalky. The rest of the palette has 6 cream to powder eye shadows. They are a very unusual consistency which are sparkly and bright while also being creamy (no feeling of gritty glitter). The colours are bright and pigmented and although they are glittery and sparkly there is very little fallout - I did experience a tiny amount of fall out but because the consistency of the shadow begins like a cream it seems to stop major fall out. Bubble Bath, Silk and Bon Bon are the three matt colours as you can see bubble bath is the lightest shade and although it doesn't show up very well on my arm its the perfect base shade for my eye lid. (and yes they are my star p.j's in the shot - what can I say it was Christmas). Pink Diamond, Marilyn and Bordeaux. Well hello there is a shade called Marilyn and its pink and pretty and glittery. Cashmere, Crushed Velvet and Heart of the the Ocean. Its hard for me to decide which of these is my favourite shade, my love of Marilyn draws me to that shade but look at how amazing Heart of the Ocean is, and the subtle beauty of cashmere. Included in the palette is also a Smudge Stick liner called Ladyfish which is black with pink shimmer. As you know I am a huge fan of Smudge Sticks, I pretty much wear one every day and this one steps things up a notch. Its kinda of a no brainer that I am going to love a Stila present but I like the way they have deviated from recent palettes to make their Christmas offering a little more sparkly and special. The colours in the palette dont scream CHRISTMAS and give you good options for bright eyes as well as classic every day looks. This palette makes a beautiful gift, the colours are so unusual and sparkly. For anybody with a few euro left over after Christmas Stila.co.uk are having a sale and the Sparkly Luxe Palette is reduced from £30.00 to £21.00 (have a look here). Don't forget Stila give free shipping to Ireland and the UK. Did you get any nice Makeup for Christmas? Hands up who knew that QVC delivers to Ireland? Mags did (because of her shopaholic tendencies) but I certainly wasn't aware that they did. To be truthful, I wasn't even aware that you could order online from them, I always thought of QVC as strictly an infomercial type TV channel. I'm so behind the times! Anyway, not only do they deliver to Ireland, but they stock a huge range of beauty products, some of which are difficult to get on our shores. They also stock a lot of brilliant value sets. Nail polish fiends such as myself have plenty to choose from. One of the brands they stock is Leighton Denny, which I've never used before, simply because it doesn't have many (or any?) stockists near me. We were kindly sent one of their Colour and Go Manicure Pens to try out. This is a double ended product, containing the nail varnish in one end, and a base/top coat in the other end. How handy is this for travel?! One bottle instead of three. I wasn't sure about how good a dual base and top coat would be but I was impressed. 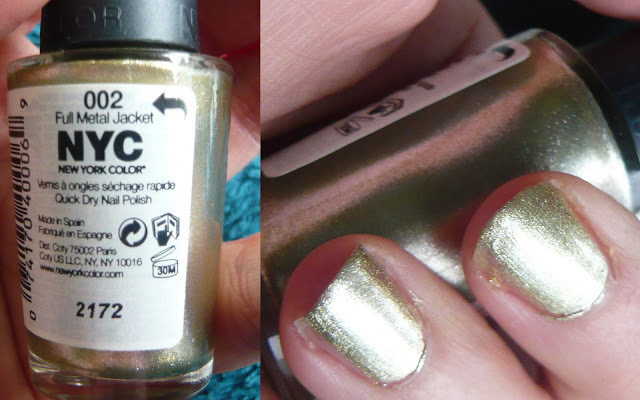 The formula of the colour polish is also great and it wears well, even on my weak nails. The shade is called Provocative - a classic, glamourous red. Have you ever bought anything from QVC? 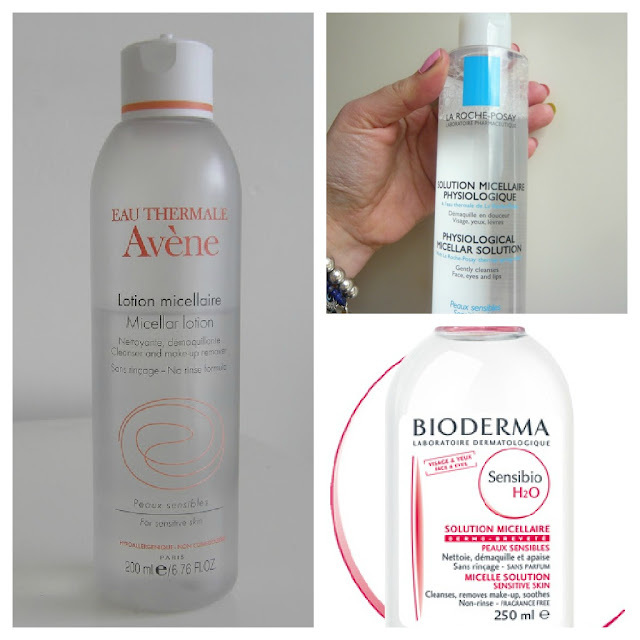 We have seen this post on a few different blogs, one of our favourites being our pal Karen (Lovelygirlybits) and decided to give it a whirl. As there are are two of us we each get 4 products and we are also going to show you the 4 products that impressed both of us the most this year. (It turns out we got a bit carried away and have more than 12 - our new years resolution will be to learn how to count). 1. Stila Stay All Day Foundation. As you know I could stop there as I am a huge fan of the brand and its really hard for me to choose just one product (the eye shadows are amazing, and the liners and that's not even mentioning the convertible cheek colours or the lip products). The product I have reached most for this year has been the Stay All Day Foundation (read the review here). The foundation stays all day on my oily skin and also has a handy concealer in the lid. I love the consistency which is not light or runny as most of this years foundation launches seem to have been, but it still feels light on the skin. When I first got this it was a smidge too dark but it blended really well, now that it matches me, it is perfection.
. 2. Bare Minerals Ready Eye Shadows - I can't believe that more people don't talk about these shadows. I have two palettes (The Star Treatment and The Soundtrack) and the fact that I have listed these instead of Stila eye shadows speaks volumes about how much they impress me (I adore Stila eye shadows). 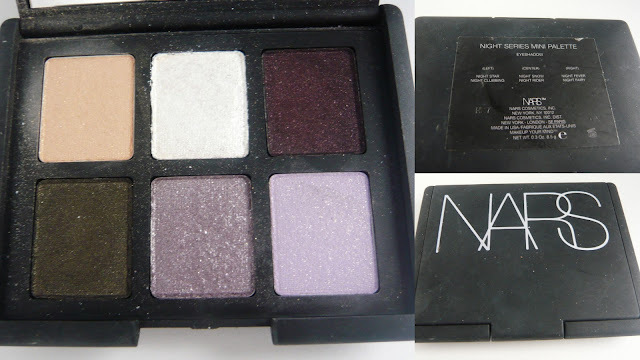 The shadows that I have tried are soft, buttery and very pigmented. Bare Minerals reminds me of loose powders and I am too messy for that kind of carry on. The Ready range is a collection of the colours pressed. I urge you to have a play with them next time you're at a counter - you will be impressed at how soft, pigmented and pretty the colours are. 3. 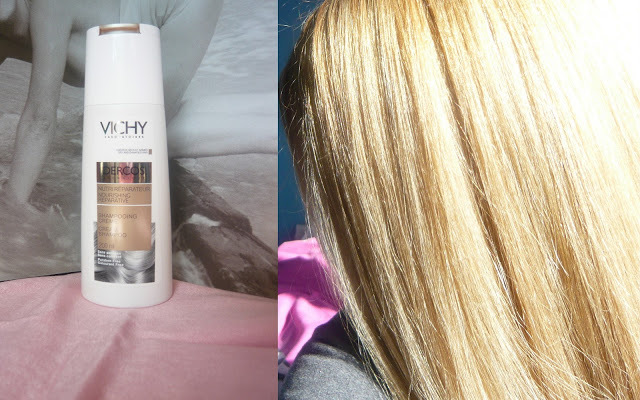 Vichy Dercos Nourishing Reparative Shampoo - (read about it here) If I am being honest I never really paid a whole lot of attention to what shampoo I was using until I started to use Vichy Dercos. I have long colour treated (or should I say my hair is naturally blonde after the highlights?) hair which can be a bit of a hot mess 90% of the time. Dercos shampoo is a nourishing shampoo enriched with keratin. It makes my hair healthy and swooshy. I never thought I would have a holy grail shampoo but this is it. 4. 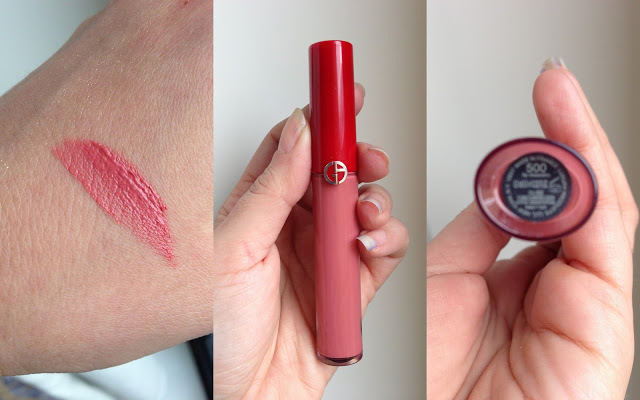 Giorgio Armani - LIP MAESTRO No 500 Blush (read about it here). I have a lot of lip products (more than any sane person should have). I try to use them up but they seem to be breeding with each other and multiplying at a vast rate. I have so many lip products I am not that worried if I use one up - except the Lip Maestro in Blush. It's my special lip product that I panic a little if I can't find, that's for "good" wear. 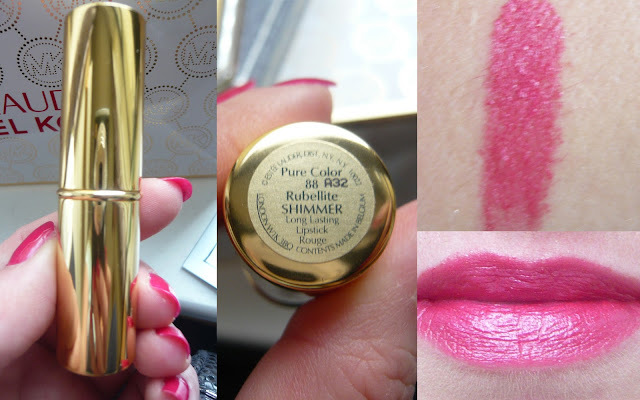 I love this lip stick/gloss/stain hybrid and it feels fabulous on the lips. 5. The Body Shop - Vitamin C Microdermabrasion (read full review here) I can literally feel my Christmas clogged pores clearing at the mention of this product. Gentle but effective exfoliating leaving your skin feeling clean and refreshed and all for €17.00. 6. Sally Hansen Salon Manicure Nail Polishes. I have a lot of nail polish, but if I want a fuss free, fast and easy manicure that I know will look great, I reach for these. The formula is second to none. I think they give your nails the really neat and shiny look of Shellac (without the longevity of course!). 7. Collection 2000 Lasting Perfection Concealer. I know the whole beauty blogosphere goes on and on about this, but it really is as good as people say it is. I need pretty heavy duty coverage for under my eyes and this does the job brilliantly without looking heavy or caked. It's also brill for blemishes. Another plus is the price - about 6 quid. 8. Benefit They're Real Mascara. I actually have a bit of a love/hate relationship with this mascara. I hate how hard it is to get off, I think it dries out fairly quickly, and it's pretty expensive. But nothing gives me lashes like it and it wears so well - you know it's gonna look just as good at eight in the evening as it did when you put it on at eight that morning. 9. Zoya Remove +. The most brilliant nail polish remover ever. Review here. 10. Closer by Halle Berry (read full review here). For us Closer has been the perfume of the year. It's a very different perfume with the added bonus of being affordable. Not only has it been a constant companion in the bags of both of us, we have both gifted it to different people. 11. NYC Cosmetics NY Minute nail colour in Full Metal Jacket - WOW this has amazing coverage, one coat covered Sile's Christmas red polish and all for €1.29. Phenomenal polish and outstanding value. 13. 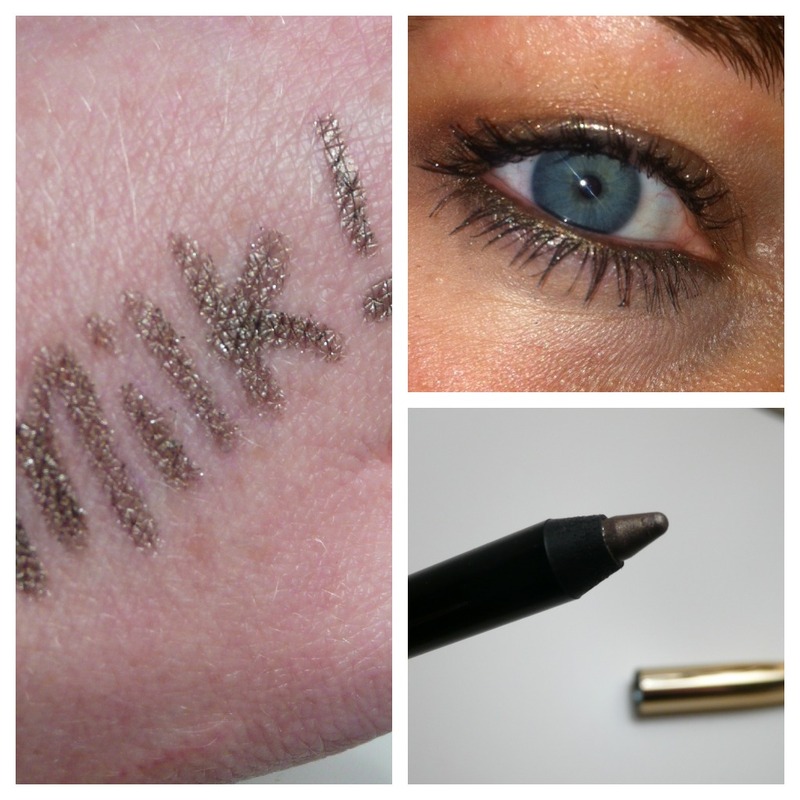 Lancome Le Crayon Kohl in Jazzy Taupe. We are both very wary of avoiding the Scissor Sisters look and generally don't use black liner on the lower water line or lash line. Brown is a more flattering alternative and Jazzy Taupe from Lancome's Holiday 2012 collection (we have been amusing ourselves by saying Jazzy Taauuuuppe in a Northern, Sean Bean type accent - try it, you will be amused too) is a super pretty sparkly bronze colour that is gorgeous on blue eyes especially. We heart it. Ok, so that's a top 13 of 2012. We couldn't leave any out! Oh P.S. We have to give an honourable mention to Maybelline's Baby Lips too - Mags received some in her swap with Yessie and then picked some more up when she was in Florida and we have been loving them. Can't wait for them to be released here. What were you loving in 2012?